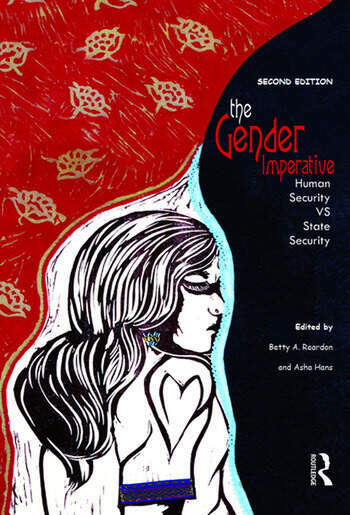 This collection of essays by feminist scholar-activists addresses the crucial problem of human security in a world of heavily armed, militarized states. It describes the gendered aspects of human security excluded from the realist militarism that dominates current security policy in most nation states. The book deepens and broadens current security discourses, encouraging serious consideration of alternatives to the present global security system that functions to advantage state security over human security, a system the contributors perceive to be rooted in the patriarchal nature of the nation state. This second edition will be of interest to academics and students of gender studies, women’s studies, international studies, development studies, human rights, security studies, peace studies and peace education. Betty A. Reardon is Founding Director Emeritus of the International Institute on Peace Education (IIPE), a global consortium for continuing education on issues of peace, and a feminist peace educator. Her work with IIPE and as a theorist and designer of pedagogic materials and processes in peace education was recognized by the special Honourable Mention Award from UNESCO at the Peace Education Prize Ceremonies of 2001. She was the initiator and the first academic coordinator of The Hague Appeal for Peace Global Campaign for Peace Education launched in 1999. She is the recipient of the 2009 Sean MacBride Peace Prize awarded by the International Peace Bureau. Her published and unpublished professional papers are archived in the Ward M. Canaday Special Collections at the University of Toledo Library in Ohio. Asha Hans is Founder Director of the School of Women’s Studies, Utkal University, Bhubaneswar, Odisha, India, and heads the gender research institute Sansristi. A peace activist, she has written extensively on issues of peace and security, including Kashmiri women, refugee women and disability issues. Her recent work is on UN Security Council Resolution 1325. She is currently Co-Chair for the Pakistan India People’s Forum for Peace and Democracy and serves on the editorial board of the Journal of Peace Education.